Mt. 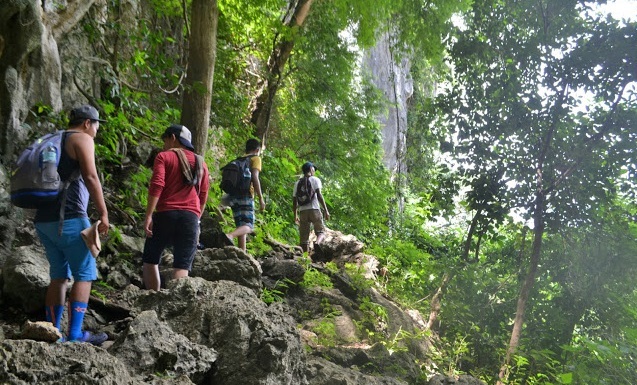 Manalmon is one of the popular mountain destinations in Bulacan. Its major jump-off point is located in Sitio Madlum, Brgy. Sibul, San Miguel. Mountaineers consider Mt. Manalmon as a minor climb with a a difficulty of 2/9 and trail class 1-2. It's 160 meters above sea level which features Madlum Cave and River and views of neighboring mountains. Mt. 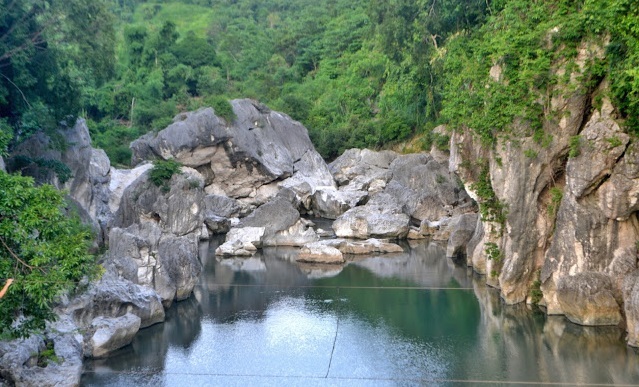 Manalmon is part of the historical Biak-na-Bato National Park in San Miguel, Bulacan. You will be amazed on different natural wonders and rock formations along the way going to the summit. 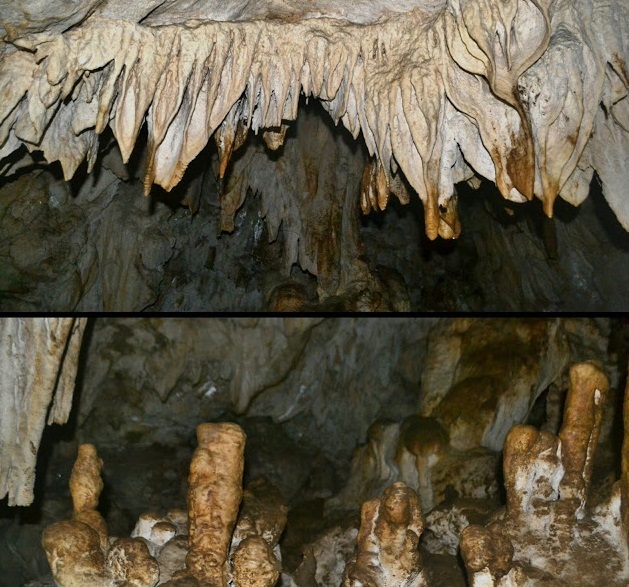 The Bayukbok Caves and Madlum Cave are the main attractions in Mt. Manalmon trip. Each caves features amazing rock formations. The stalactites and stalagmites inside the cave are really amazing. 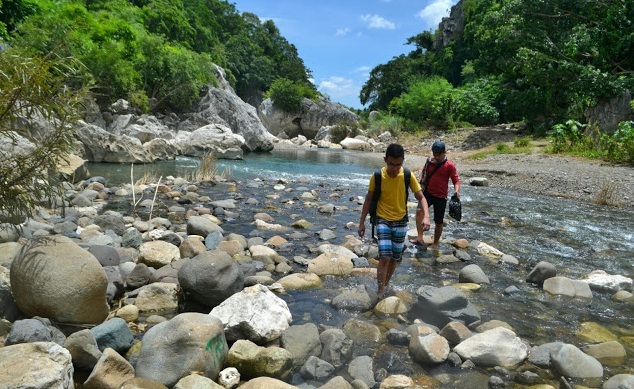 Mountaineers or outdoor enthusiast can take the easy trail and balikatan trail. What we usually do, we take the easy trail during the ascent and balikatan trail during the descent. We take the easy trail, then pass by the Madlum Cave then the Madlum River. There're some assaults along the trail but everyone can handle it. Even the beginners will enjoy the trail. 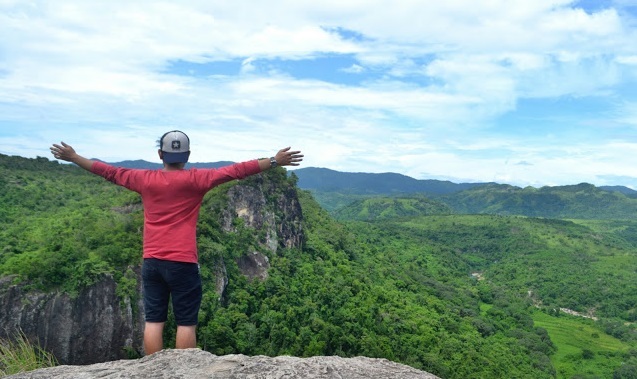 At the summit, you can find the enticing views of neighboring mountains such as Sierra Madre Mt. Gola, Mt. Mabio and the beautiful Mt. Arayat. There are camping sites available in the area. Some campers pitch their tent near the Madlum River and others near the summit. Water resources are available along the trail. Guide is mandatory. Locals are the usual guide in Mt. Manalmon. Most of them are into farming. Always remember, the fee that you are paying to your guide will help their family a lot. Fee is Php300. Aside from caving and spelunking, another interesting activity in Mt. Manalmon is walking in "Monkey Bridge." You can also enjoy bamboo rafting or cliff jumping in the river. Please be reminded get an extra careful if you will try the Monkey Bridge and cliff jumping. 2. From Kamias. take a tricycle going to Brgy. Madlum. Travel tim will take around an hour and fare is Php200. 1. From Manila, drive to the north and take Sta. Rita exit from NLEX. You will pass towns like Plaridel, Pulilan, Baliuag, San Rafael and San Ildefonso. 2 From San Miguel, you can ask the locals locals on how to get to Brgy. Madlum of Mount Manalmon. 1. It's advisable to wear trekking shoes because some trails are a both rocky and slippery. Wearing rubber shoes and sandals are Ok as long you are comfortable on it. 2. Don't forget the to bring sunblock to protect your skin from the direct heat of the sun. Bring also OFF lotion to protect your skin from the bites of insects. 3. Bring rain coat in case there's a sudden rain. ALLOWED PO BA MAG "WALK-IN"? 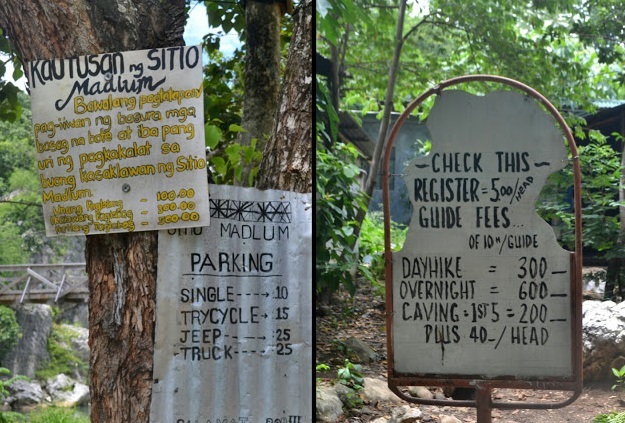 OR KELANGAN NAKA-RESERVE ANG HIKE? available pa po ba yung contact no. na matawagan para magreserved? Available pa po ba yung contact no. para tawagan at magpareserved?